The biggest iOS 6 software announcement at yesterday’s keynote was the introduction of Apple’s brand new mapping feature. It’s an app that compiles much of the work Apple has been doing on mapping behind the scenes into a suitable — if not feature complete — replacement for Google Maps on the iPhone. But that wasn’t the most aggressive move by Apple to phase the word Google out of its lexicon. That honor belongs to Siri, which got an impressive upgrade, allowing it to integrate with a host of other information providers for sports scores, movies and more. This was the move that I saw most likely just after it was released. With iOS 5, Siri had limited support for services that it could use to give you information. Wolfram Alpha for computation, various Apple apps, Yelp and Google Maps were among those. Out beyond those actions, the default was for Siri to dump you into a Google Search for whatever term you had thrown at it. Now, in iOS 6, Apple has greatly expanded the things that Siri can deliver to you directly, rather than defaulting back to a search dialog. Sports scores and schedules or a wide array of statistics on players; movie times or actor information; restaurant reviews and reservations; direct posting to Facebook and Twitter. If those things sound familiar to you, it’s probably because you, as with a lot of people, have used Google Search to do one or more of them at some point. In fact, unless you already had a specific site in mind or used an app to do it, you would have had to use Google Search to do them, until iOS 6. Now, with iOS 6, some of the most common things that people use search to do on their iPhone have been completely co-opted by Siri. Millions of people have been using Siri for months, providing Apple with data on the terms that they’re using and the actions that they’ve been trying to complete with the service. They’ve taken that data and built those search functions right into the service, complete with custom interface elements and nice additional touches like Rotten Tomatoes reviews for movies and Yelp for restaurant finds. 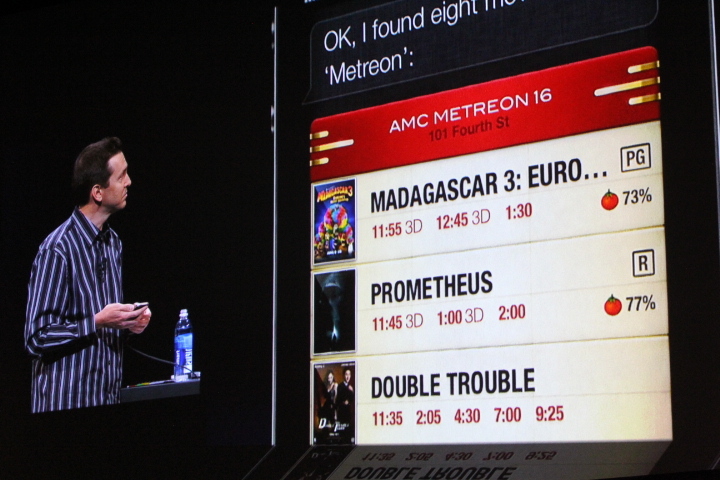 In addition, all of the data that Siri provides can be acted on in a variety of convenient ways. With Google, all you can do is click, then you’ve got to copy and paste or deal with filling out forms on the web if you want to reserve tables or find an actress. With Siri, not only is the information presented well, but it can be acted on directly, allowing you to start — and in many cases end — with Siri. In the worst case scenario, you end up being sent to a native app to finish up. Still a better experience than Google. Apple has been working on the disintermediation of Google for a while now, and Siri’s capabilities in iOS 6 are a major step down that path. Apple wants to deliver as many of your common queries as possible directly to you, rather than going through the lens of Google Search. This works for its plan to remove as many references to Google as possible from its own products, and it also works as a better experience for the user, it’s a win-win. Siri can’t outright replace Google with Siri, but it can ‘steal’ many of its most common uses. It’s no coincidence that many of these common items are heavily served with ads on Google. Search for ‘stellar cartography’ on Google, how many ads are there right at the top? Now search for movie times. Right. Google is performing more of its own version of this direct delivery of information with its Knowledge Graph enhancements, but it has been doing it for some time. Apple just pulled the same thing on Google that Google has been pulling on the web. 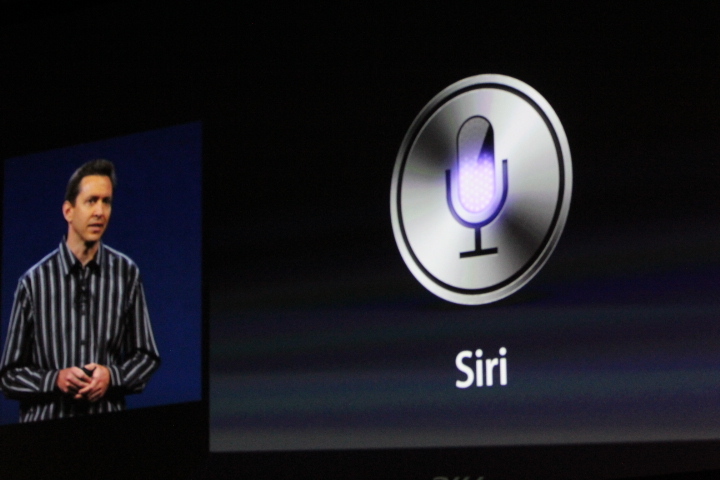 When it introduced Siri on the iPhone 4S, Apple pitched it hard as an ‘assistant‘, a tool to help you get things done. Now, the word assistant makes no appearance on Apple’s iOS 6 preview page and it wasn’t mentioned during the keynote at all, despite a big chunk of the iOS news being dedicated to it. It will be interesting to see, also, how the use of Siri as an information retrieval service affects Google’s big chunk of iOS-based mobile revenue. If users are able to bypass Google to get the information that many ads are sold against, then there will be less eyeballs and less clicks on those ads. And I can guarantee you that Google makes a lot more with search on the iPhone than it does on maps. Instead of an assistant, Apple is now positioning Siri as a service that you can use to have all kinds of information delivered to you in a relevant format. Sounds a lot like a search engine to me.